Use the utility knife to make a small X in the bubble. Be sure to keep the slit as small as possible so it won’t be visible when the repair is done. 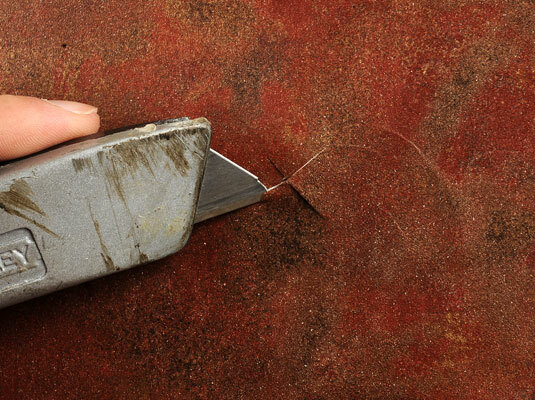 Tweeze out the excess wallpaper adhesive or debris that’s causing the bubble. Don’t rush or you’ll damage the paper. Press down on the bubble to get all the air out from under it. If you’ve only just hung the paper, try to press down on the bubble without applying more glue. If that doesn’t hold, then use some wallpaper adhesive in a syringe. 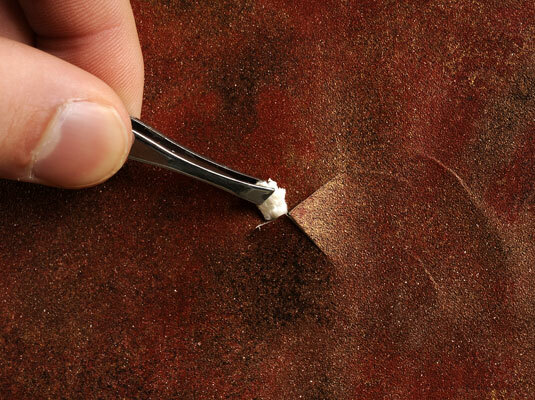 Squirt wallpaper adhesive into the opening and press it down with a damp sponge. 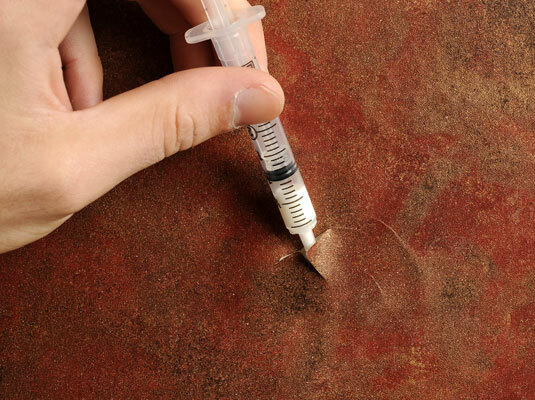 Use a syringe to get the glue into the opening. Smooth the seam with the roller. Don’t roll too hard, because you’ll take out too much of the glue and the edge could lift up. 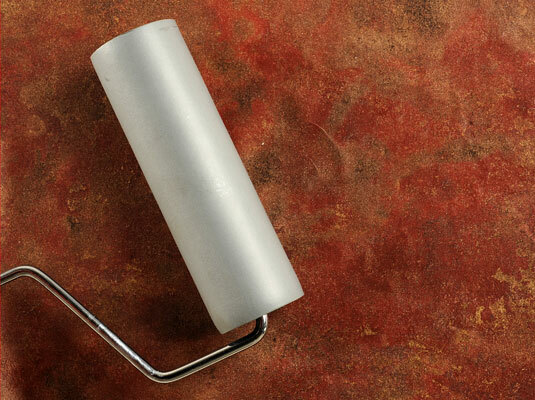 Wipe off excess adhesive with a damp sponge. 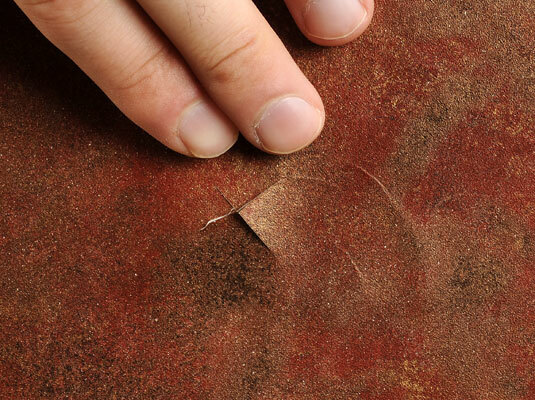 If allowed to dry, the excess adhesive will dry with a noticeably shiny finish.